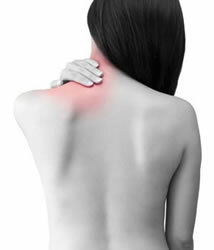 ​Neck pain is a common pain symptom experienced by most of us. Most neck pain begins with some kind of trauma, but sometimes the origin is difficult to identify. When all of these pieces are working together in harmony, we’re not even aware of them. When one piece fails to work properly, all of the other parts are affected, as well. The role of chiropractic is to make sure that all of the pieces work together the way they’re supposed to. Here are some articles that discuss the benefits of chiropractic for neck pain.